AFAIK nothing has changed with PS3NETSRV. Verify if you can navigate to /net0 through the file manager and use ethernet for network. Wireless is more susceptible to have interference or intermittence. You can try sman, webMAN vanilla and older versions of webMAN MOD to check if they behave different. T.A.U and ald1 like this. 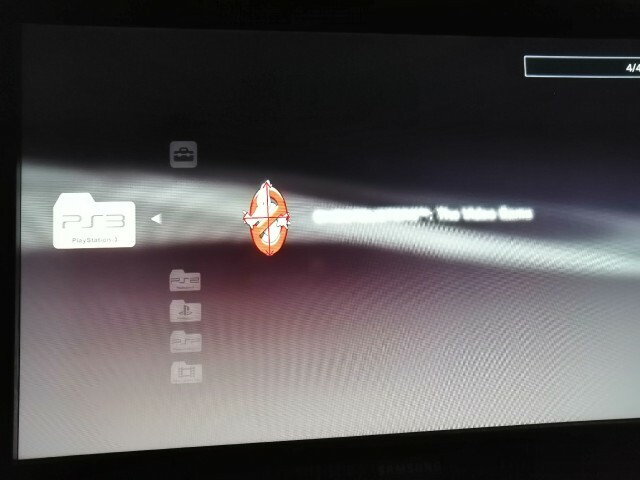 @aldostools wmm badly scales icon0 from every ps3 game, such a small bug, the icons seem stretched. I did not pay attention to it, but I have noticed it recently. Its not really a bug, PS3 XMB resizes every image to square, all icon0 are a rectangle. If you use covers its not so noticeable as they are closer to square..
You can make custom covers that have transparent square backgrounds, that fixes the problem. This is what PKG linker does with all the icon0s. citra mulia and T.A.U like this. I understand but when the mount game to icon0 is displayed in the place of virtual BR it displays correctly. Yes, the system is set up for that though, that's just it behaving normally. LOL "recently"? It's a known issue that exists since webman was created +5 years ago. The stretched icon is due webMAN is using the same XML code used to show the icons of the apps under the Network column in XMB. These icons are squared, but ICON0 is a rectangle (9:5) almost 2 squares. To reduce the deformation, it is recommended that you use the box covers that although they are not perfect squares, their aspect ratio is more closer to 1:1 than ICON0. If you want perfect covers, you should make the icons squared and use transparent background to fill the unused area. This is valid only for covers in PNG format, due JPG does not support transparent background. I know with your skills you could have the ps3 perform some resizing operations on all icon0's to fix them, have them be merged with 320x320 transparent background. ah go on! You know you want to! That would require to process each ICON0 to produce a new image with transparent background. It's feasible in a standalone app, but webMAN is a process that is always running in background with a very low priority (-0x1d8) to not compete with other processes of games. Also the memory usage is very limited resource. IMO it would be a waste of time and resources to add extra code for that kind of task. Anyway if some developer want to implement it, sLaunch already has some of the code needed to decode PNG and JPG using PPU. Only would need to implement the resize and encode part. I understand the running all the time bit, but couldnt something intensive like that be done from an icon in webman settings, so its a one time , intensive task, it could even freeze the screen until it completes same like extended xai when its copying. then the whole ps3 can be dedicated to it, its not something that would be done very often. Does adding an extra feature really impact the memory footprint all the time? even if that feature is only called upon rarely? If so there must be a better way, have extra features in external files, that only get loaded when needed or something. I dont how to code , but it seems wrong that every feature added has a downside. Every extra new function is time consuming for the developers, because they need to be coded then tested. When these functions are compiled, the new code increases the size of the existing ELF, which then is compressed into an encrypted sprx. In the PS3, the sprx is loaded into memory and decrypted when the plugin loads, then the decrypted ELF stays in memory until the plugin is unloaded. All the functions in the ELF are loaded even if they are never called, they are there in memory waiting to be called sometime. These function are released from memory only when the plugin is unloaded. For instance, sLaunch and VSH Menu are loaded/unloaded dynamically. So they use memory only when they are called. ok, i understand the time involved of course, i just didnt get the logic with RAM if we were limited like that. And now i understand that too. So really extra features can be added in theory without impacting RAM, by using external plugins. Thanks I understand much more now. Anyway, I was only messing. My point was more "in theory" this 5 year+ problem is solvable, its just not worth it really. It's not as simple as using external plugins will use less RAM. There are other factors to take in consideration like the memory used by the processes themselves and their variables, if the process stay running all the time or if it's called once or rarely. The amount of common functions and variables shared between the processes is very important. A external plugin has some overhead too, but in general if it's a complex process with low "coupling" and not needed all the time, it's a good candidate for an external plugin. So, just for discussion sake. If you dont mind. In theory, couldnt someone reduce the memory footprint alot, by moving alot of tasks used less often to an external plugin that only gets called when required then unloaded. For example (im not saying you should do this, just hypothetically) if all scanning and xml generation, icon and param.sfo work, was done by external plugin. possibly called upon manually by pressing button and ran in "intensive mode", not low priority, wouldnt that leave less stuff in RAM all the time. The message "webMAN not ready!" is shown when the XMB proxy (wm_proxy.sprx) cannot connect to webMAN's http server using the loopback ip address 127.0.0.1, port 80. This could happen if the proxy does not receive a response from webMAN within 3 seconds (e.g. the plugin is not loaded or too busy) or if the proxy cannot create the socket for the network connection (e.g. network is not configured, inactive or broken). Ok, what can I do to diagnose the problem? Indeed the mount and scan for content are done in high priority (2000) in their own thread. Theoretically, yes, moving these tasks to external plugins could reduce the memory footprint of the main plugin in some kilobytes. But these tasks use also share functions and global variables that are common to other tasks. e.g. games_xml.h and games_html.h share a lot of functions that would be needed to be duplicated in the external plugin, also the functions for read the settings. The complexity increased too, because 2 projects should be maintained. Additionally, split the project into multiple plugins require time of analysis and software re-engineering some functions, isolating the objects and adapting the interfaces for proper interrelation. Indeed, initially ftp_server and webman (http server) were 2 standalone plugins. deank merged them because both would be loaded permanently and the overhead of having 2 standalone plugins would be greater than having the functions of both projects in a single plugin. And they would be using 2 slots, instead of only 1... Later webman was growing until the current state. smikk, citra mulia, T.A.U and 2 others like this. @aldostools, i'am have problem to install webman mod v.1.47.15 commit c9ded1f1b3180c39ec20ffe313994e8d32bd04fb. The ps3 hangs when I launch the webman mod installer from XMB. THe version webman mod 1.47.14 working correct. smikk, jolek, T.A.U and 1 other person like this.